One Size Does Not Fit All When It Comes to Insurance - Gallant Risk & Insurance Services, Inc. Most people have basic insurance coverage for their residence and cars, and some decide to add life, boat and RV insurance later in life for additional protection of their assets. However, in the case of a random, unfortunate occurrence, does your current insurance plan cover you? You may be surprised to learn that not all policies will fully cover disaster costs. Unpredictable circumstances do occasionally happen and the last thing you should have to worry about is whether you are protected. There are plenty of customizable insurance plans that can be personalized to fit your individual needs. Research indicates that millennials do not want cookie-cutter insurance, and their budgets are limited. Preparing for an emergency is an important step and can help avoid problematic, expensive situations in the future. There is a plan available that suits everyone’s personal needs. In the case of an unfortunate event, Gallant Risk & Insurance Services, Inc., wants you to be prepared. Contact our office today to see how you can get your assets covered and provide peace of mind by calling (951) 368-0700 to schedule an appointment with one of our team members. Does Your Insurance Cover Everything? Not everyone’s concerns are going to be identical, so it only makes sense to carry coverage that is designed specifically to match your preferences. 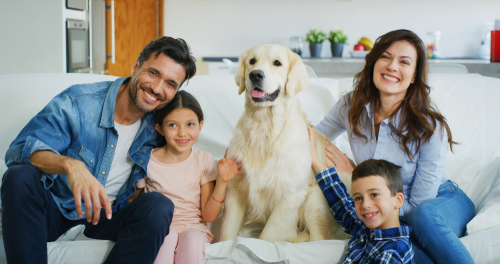 Umbrella insurance offers extra coverage for the unexpected events that can occur, such as an animal-related injury or property issues (including a tree on your property falling and damaging your neighbor’s roof or car). An umbrella liability policy extends beyond other personal insurance coverage to ensure that accidents are handled. By covering yourself beyond homeowners, renters and automobile insurance, you can rest assured knowing that if something disastrous occurs you will not have to pay an extravagant amount to get the issue fixed. Disasters can happen at any time without any warning. Whether you live on your own or have a family to care for, identifying the correct insurance coverage for you and your loved ones can remove one of your daily worries so you can enjoy the space you live in without regret. We are not able to stop unfortunate events from taking place, but we can take steps to help you adequately prepare.